I have taken this video from my favourite classical guitar teaching site, Bradford Werner’s Thisisclassicalguitar. Lorenzo Bernardi Plays Confesiòn by Paraguayan guitarist and composer, Agustín Barrios Mangoré (1885–1944). This comes via Bernardi’s Youtube Channel. Guitar made by Philip Woodfield. Some nice musical playing by this young Italian guitarist. “Also known as Confesión de Amor (Confession of Love), Confesión is an example of the genre known as romanza, a slow, melodic piece in duple metre expressive of romantic feeling. Barrios wrote this work in 1923 and recorded it on 21st June, 1928. Here he places the melody in the bass register with the harmonic accompaniment in the upper voices. A profound knowledge of the instrument is necessary to achieve this type of textural writing, and Confesión, together with his Romanza en Imitación al Violoncello, is a masterful display of virtuosity and skill. I have posted Barrios’ Confesion before but I particularly like this interpretation. Matthew McAllister plays with his usual competence and style – you can view his website HERE. The piece, Bardenklänge, Op. 13, No. 1, is by J.K.Mertz, a 19th century virtuoso and composer. He was married to a concert pianist and his compositions reflect her influence on his music. 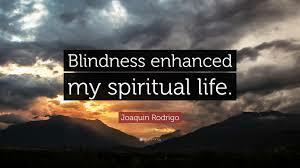 Joaquin Rodrigo was born in Sagunto, Valencia, and lost his sight at the age of three. Despite this, he began to study piano and violin at the age of eight. Many credit him with raising the Spanish guitar to dignity as a universal concert instrument and he is best known for his guitar music. However, he never mastered the instrument himself. 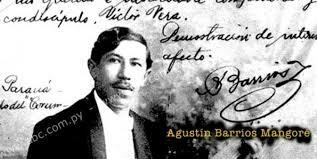 Augustine Barrios composed many wonderfully lyrical pieces for the classical guitar. I have already featured La Catedral and Alms for the love of God, and here now is his Confession played by Tariq Harb. Tariq was the winner of both the First Prize and the Audience Choice Award in the Barrios WorldWideWeb Competition, so he is a good choice of performer. Here South Korean brother and sister (Soojin and Seongjun Lee) play Asturias (Leyenda) Op. 47 by Isaac Albéniz (1860-1909). This well-known classical guitar piece, although usually played as a solo performance, was originally written for piano, so a duo arrangement probably comes closer to the composer’s original intent. I have added a subsection ‘Additional material for Level 1B’ at the end of Basic Level Players/Musical Scores/Level 1B. The first entry in this subsection is Prelude in A Min from Matteo Carcassi’s Guitar Method Vol 1 (Op 59). 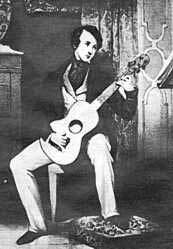 Matteo Carcassi (1792 – 1853) was a guitar virtuoso and composer who lived most of his adult life in Paris. His most famous works are collected in his 25 Etudes op.60 where he blended technical skills with good ‘romantic’ music. Too little moisture in the air for too long and your guitar could crack; too much moisture and it can swell and become hard to play. 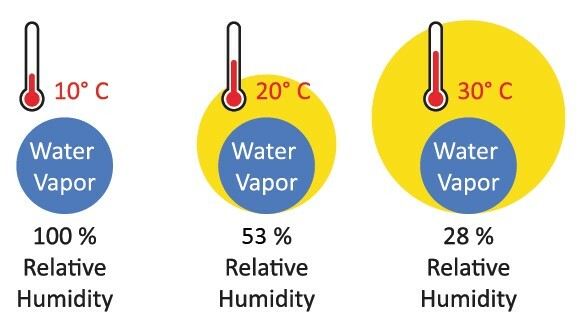 The measure of the moisture in the air relative to temperature is called Relative Humidity (RH) and this is expressed as a percentage of the airs ability to hold water. The best way to control your guitars environment is to purchase a hygrometer that has an external gauge and display plus a wireless secondary instrument that you can insert into your guitar case. I have been using one by Acurite for over a year now and I have found it reliable enough for the purpose provided you calibrate it and make the adjustments accordingly. There are few places in South Africa where the RH is extremely low or excessively high for long periods of time but anything above 70% or below 30% for more than a few days is problematic. However, if the change is slow then the guitar would probably handle these extremes reasonably well. Take an empty plastic butter/Buttro container about 150mm x 100 x 50 and drill or cut a number of holes in its lid. Cut a piece of sponge to size (the type you use for washing your car is ideal) and place it inside the container, ensuring that there is a gap of about 10mm between the sponge and the lid. Dampen the sponge well but not excessively with one part water and four parts propylene glycol. However, when you top up you usually need to only add water as the propylene glycol will remain in the sponge for quite some time. I have found that in typical South African conditions 80/20 propylene glycol to water works fine and keeps the RH at about 50%. 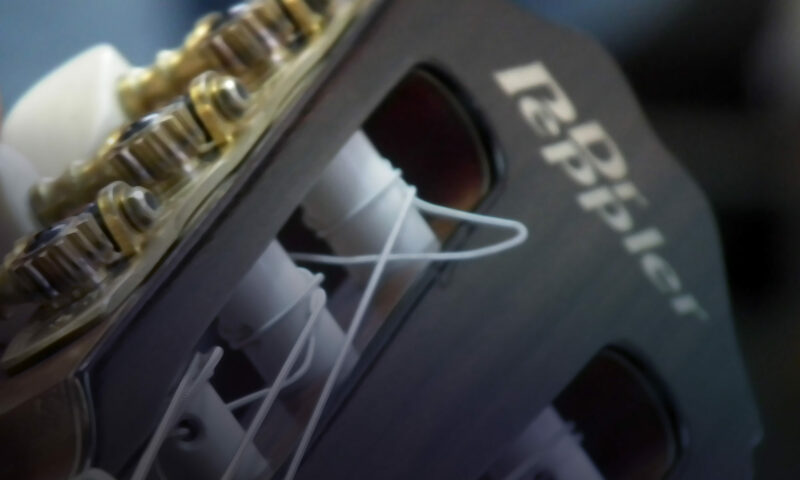 As the RH drops, the sponge will release moisture into the air within the guitar case. However, what is not often mentioned, is that it will also remove excess moisture when the RH is high. By mixing propylene glycol to the water you can control the maximum amount of moisture the humidifier will release. You will have to experiment a little with just how much propylene glycol to use to get the stability point in your particular environment at around 45% to 50 % RH. If you live in South Africa you can order the propylene glycol from http://e-liquid-concentrates.co.za/ Propylene glycol is both an antibacterial and antifungal agent preventing mould from growing in the container. With this simple humidifier, you should be able to keep your guitar all year round at a moderate RH level and avoid any of the nasty problems that could otherwise occur. Ana Vidovic plays La Catedral by Augustine Barrios, one of the hardest classical guitar pieces to play. Ana is of Croatian origin and started playing the classical guitar at five years of age. She started performing at the age of eight and is now 37 years of age (as at 2017) and is an internationally recognised performing and recording artist. She plays classical guitars designed and built by the Australian luthier Jim Redgate. I have featured another piece written by Barrios in my previous post. David Russell performs “Una Limosna por el Amor de Dios” (Alms for the love of God). The last piece by Paraguayan classical guitarist and composer, Agustín Pío Barrios a Paraguayan virtuoso and composer, regarded as one of the greatest performers and most prolific composers for the classical guitar. His music remained undiscovered for over three decades after his death. Stage fright, or performance anxiety as some call it, is sometimes a problem for even professional guitarists. I only play before small groups of people yet I tend to mess up the simplist pieces. As these easy tunes are the first I play in my repertoire, the rest of the performance is an anxious time for me and my audience. Reading through a post on this subject on the Delcamp guitar forum I picked up this invaluable piece of advice which I paraphrase as, ‘Do not stop or even pause when you make a mistake. Smile and keep on playing even if you have to doddle around just a little before you can pick up the line of music again.” The person giving this advice then went on to point out that few people in the audience are likely to know the piece you are playing, and even fewer will pick up the fact that you made a mistake. I tried this out the other day when performing for a group of about twenty people in a very casual and supportive environment. Sure enough, I made a major boo-boo in the opening set of three very simple pieces. Instead of pausing I simply added a few bars of improvisation in the same key and then picked the tune up again at the start of the section where I bombed. The result was that my confidence rose immediately and I was able to play even the hardest pieces without major problems. After the performance, I asked someone in the audience if she had noticed anything odd in the piece in question and she said that she had not and had enjoyed it. 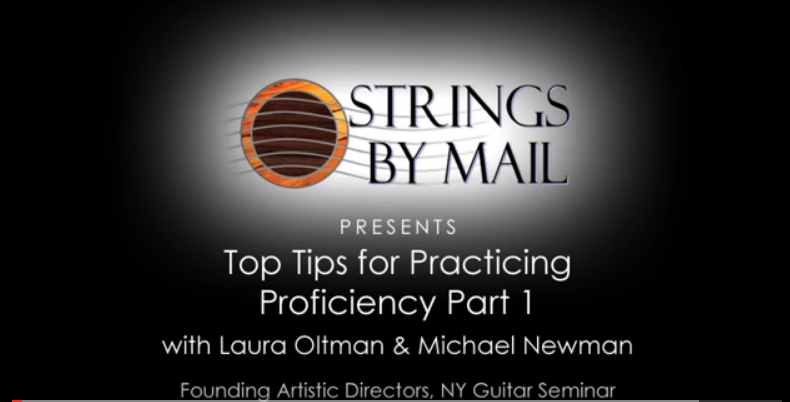 Here is a video demonstration by Laura Oltman and Michael Newman on the Strings by Mail’s lessons section that makes the same point.